Striata Spotlight Insights Is your legitimate email perceived as spam? Last year eMarketing Insight focused on a series of testing procedures that you should be performing within your email communication program. Our last edition of 2010 covered testing for deliverability where we looked at two very important areas – inbox penetration rate and sender reputation testing. This final bonus installment on testing will highlight the importance of understanding and testing how your email appears in different email clients. Does your email fall into that 20%? 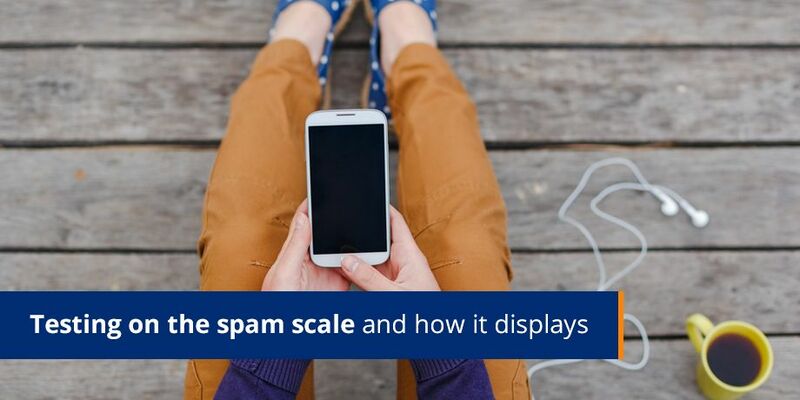 Do you even know what your rating is on the spam scale? Do you know why your “award winning” email designs and copy layouts are not reaching the intended inboxes? And lastly, do you even know what your email design looks like in every available type of email client? If your answer is NO to any one of these questions then read further. Either you or your ESP should test your email for any content issues that could result in your email being stopped as spam. Every email should be tested, as anything from the amount of images used, subject lines, to words in the body of the email will impact on your spam rating score. Your email must be tweaked for the best possible delivery, based on content and layout. Change the wording if need be – it’s not necessary to have the exact copy that appears on your website or direct mail packs. Test 2: Inbox snapshot – how does your email look (for everyone)? Have you ever considered how many email clients exist, as well as the percentage of your customers that are using the various email clients? Now, how often do you test to see how your email displays in these different email environments? This test is crucial because if your email breaks in an email client that a large portion of your customer base is using , the user experience will be bad and this impacts on your brand reputation. You need to ensure that your communications display correctly in every email client and make adjustments in your coding (and design if need be) to guarantee the desired result. Your ESP will run these tests for you – analyse the results thereof, so you can see how your customers are experiencing your email. That brings us to the end of the series on testing. For your reference, links to the full series on testing are provided in the Previous Insights banner to the right. Remember it’s important to keep testing in order to determine what works best for your brand and your customers. * Statistic reported on by Returnpath at the European Email Marketing Conference.